If you think you'll want to sell your car in the future, now is the perfect time to take into account your car's value and how to maintain it. Since value is lost through time, your best defense is to work at keeping your car at its best so that its value doesn't decline too much by the time you're ready to sell. The following tips can help you ensure your car will still be valuable no matter when you want to sell it. If you want your car to stay in good shape, you're going to have to do a little work. You don't have to do it all, but getting to know your car's needs and learning what to look for can make a huge difference in your car's overall health. Make it one of your goals to learn more about your car this year and take care of as much of its maintenance as you can. Simple things like learning to check your oil, when to top off fluids, and even when to replace your tires can help you keep your car in better shape while also making you more knowledgable about an important aspect in your life. You'll definitely be glad you took the time to do these little yet significant things. Better fuel efficiency is just about everyones dream because no one like to spend their hard earned cash on fuel. Luckily, making this happen can be quite easy and doesn't require that you buy an electric car. Start by making small changes to your driving habits which can be making you waste fuel more quickly. For example, if you tend to drive too close to other cars you may find yourself slamming on your brakes often. This can cause fuel to be wasted more quickly, so leave yourself more space so that you can ease into stops. Another way to improve your fuel efficiency is by getting synthetic oil changes. Not only is it important that you don't skip a single oil change, but using a synthetic oil can also help your car stay in better shape for longer. When compared to a conventional oil, a synthetic oil will keep your engine lubricated better, it will maintain it cleaner, and can increase your oil change intervals. As mentioned earlier, synthetic oils can also improve your fuel economy while taking care of your engine. If you're ready to get a synthetic oil change in Chambersburg, PA, start by finding the ideal oil for your car. For help finding an oil that suits your needs, contact Cerberus Systems, Inc. at (717) 658-1256. They can help you find a quality oil like AMSOIL's Signature Series 0W-40 Synthetic Motor Oil. You can find more options like this by visiting their online store. Maintaining a clean car is a real challenge for a lot of people. Long commutes, children in the backseat, and running multiple errands can lead to things piling up in the car. If this sounds like your car, make an effort to clean out your car at least once a week and put all of the items you find in your car back in their right place. This little task can help your car stay tidy while also preventing set in food stains and other wear you may not have noticed otherwise. 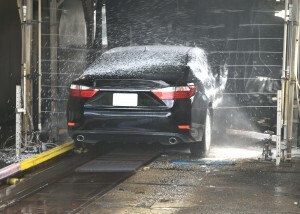 Don't forget to also wash your car's exterior since it will be exposed to corrosive substances regularly. You may not be driving through acid, but substances like rain, snow, and even the sun's rays can be quite damaging to your car's paint and undercarriage. Taking the time to wash your car can make all the difference. Don't forget about your tires! Most people don't even look at their tires until they get a flat, so make it one of your goals to keep an eye on your tires this year. Learn what your tire tread should look like and what it looks like when your tires are ready to be changed. Check on your air pressure regularly so that you're sure your tires are properly inflated. Not only does this keep you safe on the road, it can also help increase your fuel efficiency. Finally, get your tires rotated when needed and don't forget to check on your suspension. Take better care of your car this year with regular synthetic oil changes in Chambersburg. Find the right products for your vehicle by contacting Cerberus Systems, Inc. at (717) 658-1256.